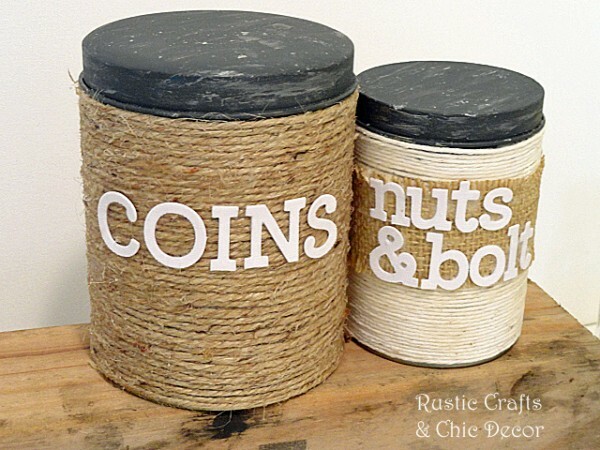 Jute, twine and thicker ropes all have a desirable neutral texture that is just perfect for creating something to go with a rustic decor theme. I like just looking at the spools of the rope. I don’t know what it is! 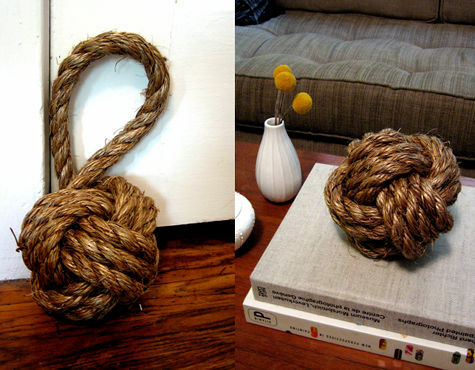 That is why I came up with this collection of rope crafts to use in home decor. 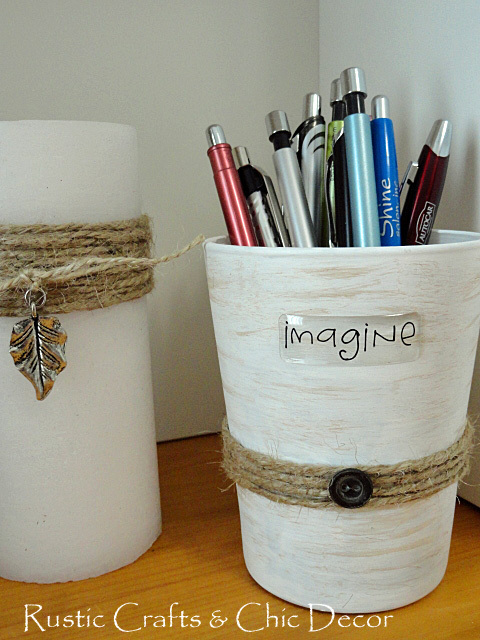 It’s pretty easy to find things to do with twine. You can simply wrap it around whatever you are working on to give some textural dimension. I used it to add a little flare to my diy pencil holder and candle. 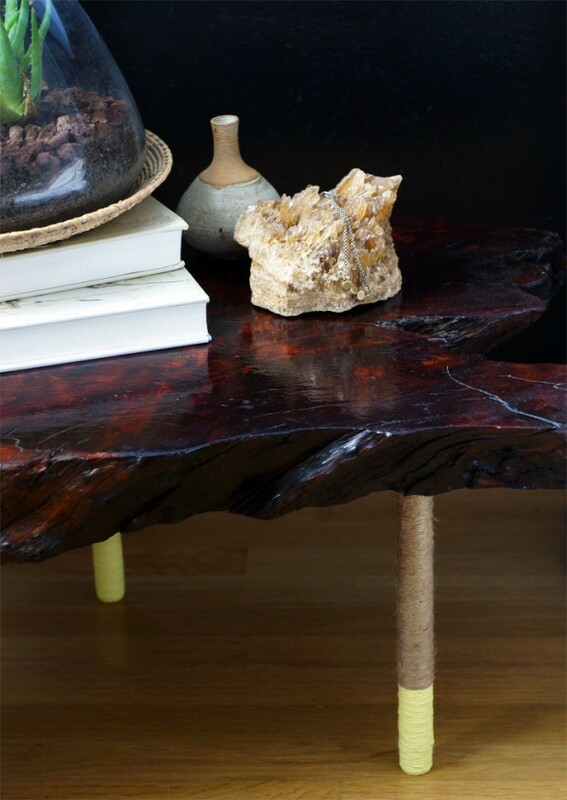 Here is an example where table legs were wrapped in jute twine for a super cool look on a rustic table. 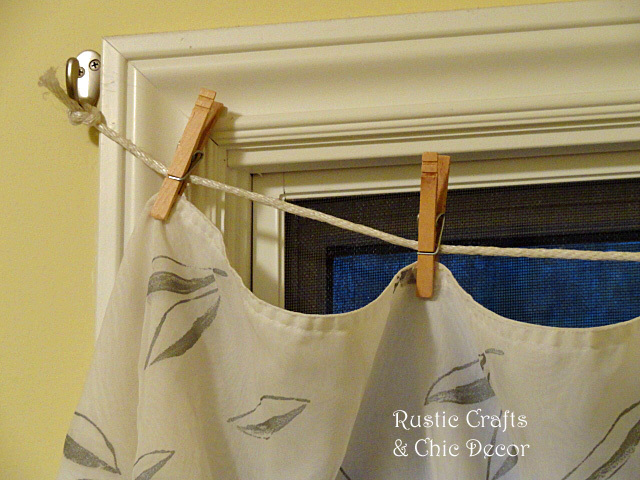 I have used rope as a “rod” to hang a curtain from in my laundry room using clothesline as clothes pins. You could also use thick rope tied to hooks for unique towel bars. It looks so much better than a plain shade and it’s just a matter of wrapping sisal rope around the shade. Check out the tutorial for full details. These sisal rope coasters are another easy project that can be whipped up in no time. 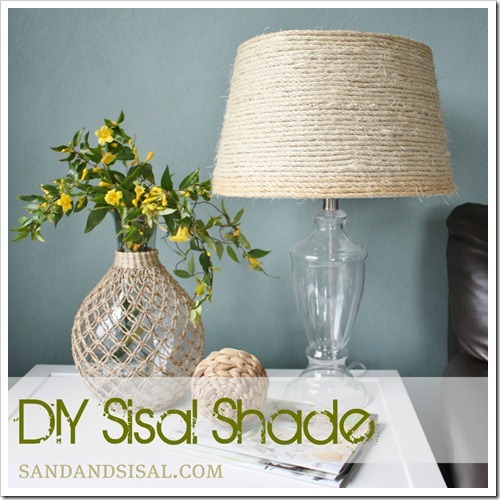 Making Home Base shows just how to do it with some sisal rope, glue and stencil and paint. This next craft is something that I am definitely going to have to try before Fall! Isn’t this great! 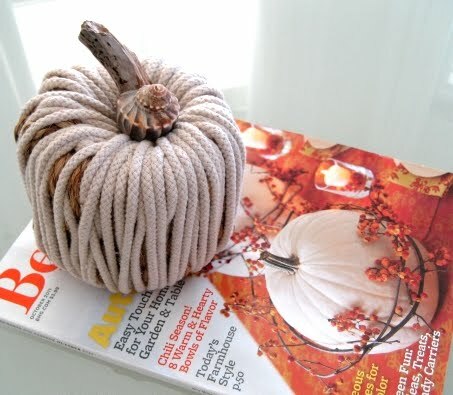 A rope pumpkin complete with a driftwood stem. Get the easy tutorial from Completely Coastal. I just love the look of those sailor knot door stops. I have seen them in stores but they are pretty expensive. But now…Design Sponge shows how to make them for a fraction of the price. And, the step by step tutorial is very easy to follow. I hope you’ve enjoyed this collection! 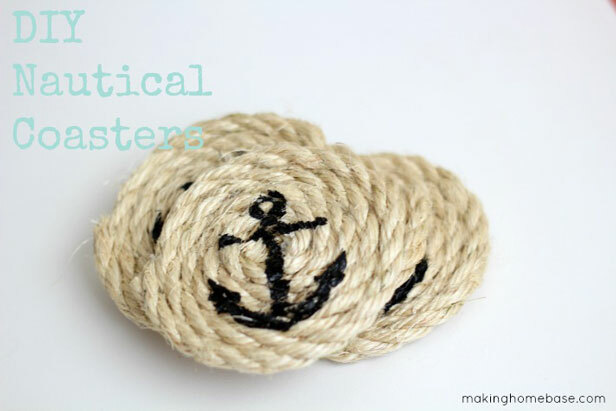 Do you have a favorite rope craft?